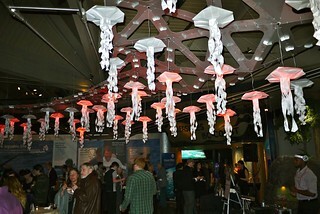 Ocean Wise's 2012 Chowder Chowdown at Vancouver Aquarium in Stanley Park on November 21, 2012. 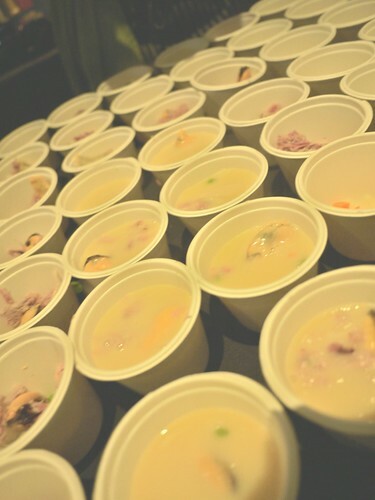 Wandering the Vancouver Aquarium after hours for twelve stations of Ocean Wise sustainably approved seafood chowders (each paired a beer) including: (see below). 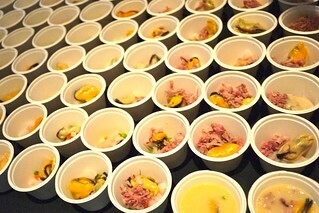 7) Salt Spring Island mussel and pulled pork chowder (above) from Edible Canada at the Market and Chef Tom Lee. 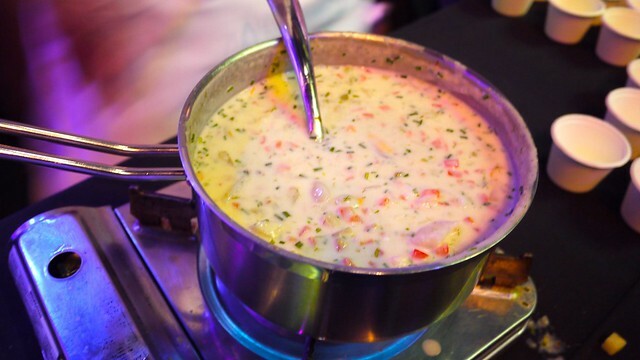 9) Seafood chowder from Hotel Eldorado Lakeside Restaurant and Chef Derek Bendig in Kelowna. 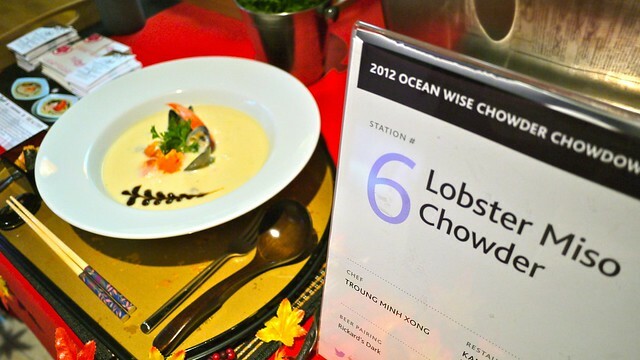 6) Lobster miso chowder from Kamei Royale Japanese Restaurant and Chef Troung Minh Xong. 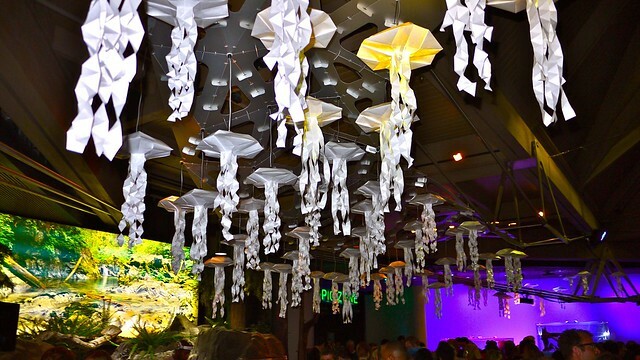 Feeling odd eating seafood at an aquarium surrounded by live sea life with a massive crowd of hungry patrons. 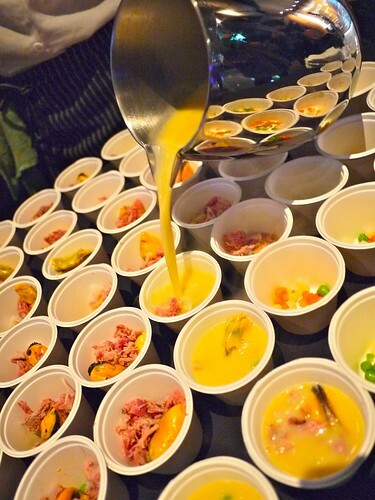 FYI, Winner: 5) Creamy BC spot prawn chowder from Forage Restaurant at Listel Hotel and Chef Chris Whittaker (both judges' and people's choice prizes).